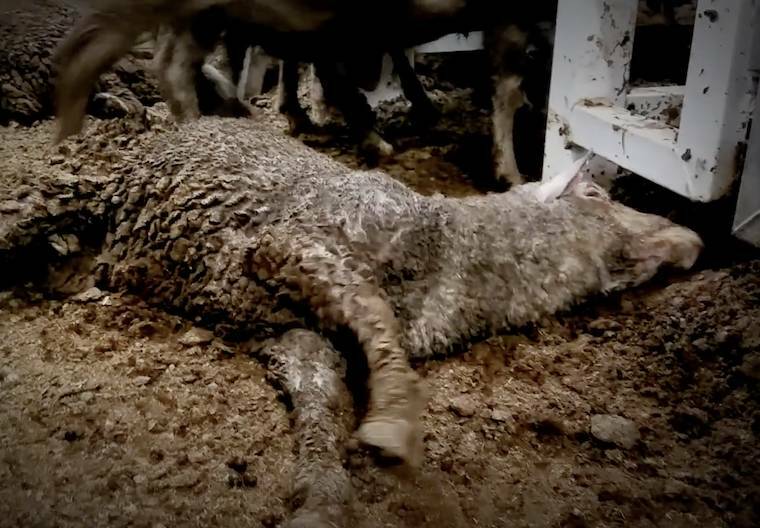 Recently aired video showed gentle sheep gasping for oxygen, noses flaring and smothered in faeces, unable to lie down to rest or even reach food or water.Newborn lambs were trampled to death. 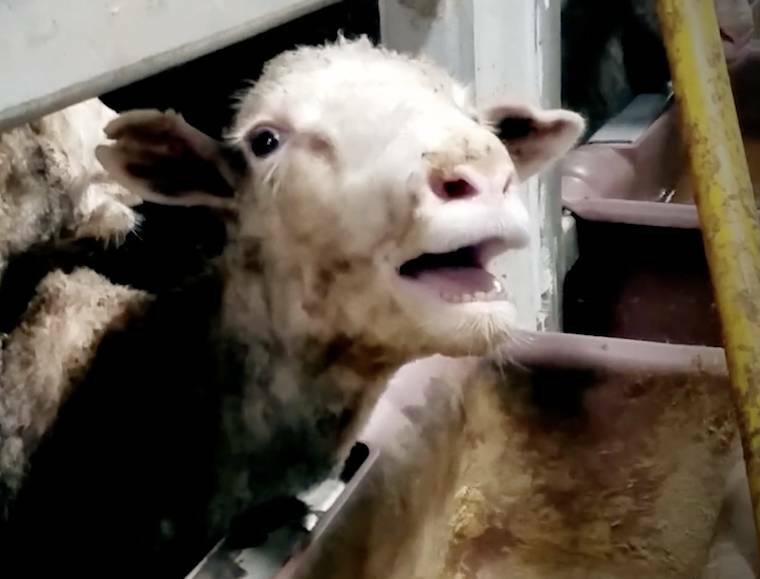 Images are from Animals Australia's video WHAT HAPPENS ON LIVE EXPORT SHIPS? Can you imagine how you'd feel if you were imprisoned inside a ship where the temperature was steadily rising? And rising and rising and rising. Can you imagine how you'd feel being cooked alive? Well, this week it was revealed that, in August 2017, 2,400 Australian sheep died in this horrific manner. They were quite literally cooked alive. The vessel on which they were incarcerated - the Awassi Express - had departed from Western Australia on August 1st 2017 with 63,804 sheep on board. It was bound for the Middle East where August temperatures can reach 41 degrees Celsius. Fremantle - their port of departure - has an average August temperature of around 19 degrees Celsius. One cannot even begin to imagine the suffering that these pitiful animals would have endured before they finally succumbed to death. As heat stress took hold, they would have been unable to eat or drink and eventually they would have been too weak to even stand. Every breath would have been a struggle and the sheep would have fought frantically to survive. The heat would have been vastly increased by the fact that the ship was almost fully enclosed and the sheep were tightly packed together. On Channel Nine's 60 Minutes program on April 8th we saw footage taken by Faisal Ullah - a graduate of Pakistan's Marine Academy and trainee navigation officer aboard the Awassi Express. It showed gentle sheepgasping for oxygen, noses flaring and smothered in faeces, unable to lie down to rest or even reach food or water. Newborn lambs were trampled to death. But, that fateful voyage in August was certainly not the first timethere had been mass deaths due to heat stress on live export vessels. In 2013 more than 4,000 sheep were cooked alive on the Bader 111. This ship was likewise bound for the Middle East at a time of the year when temperatures were scorching. But these deaths, that make it to the news, are not the only deaths that occur on these ships. It is deemed perfectly acceptable for 2 % of sheep to die on these relatively short voyages. So if 1,260 sheep had died on this voyageit would have been considered perfectly OK.
Sheep die at sea for many reasons. They die from illness, heat stress, injury and starvation. Unaccustomed to pellets, many fail to recognize them as food. But the journey, of course, is only the start of the animals’ suffering. What happens to those who survive the grueling sea voyage is a living nightmare. The vast majoritydie in terror and pain while fully conscious. Trussed and tied, these inoffensive, bewildered and terrified Australian animalshave their throats sawn open and slowly choke to death on their own blood. If someone in Australia treated a dog or cat this way it would be regarded -and punished - as and animal cruelty offense. 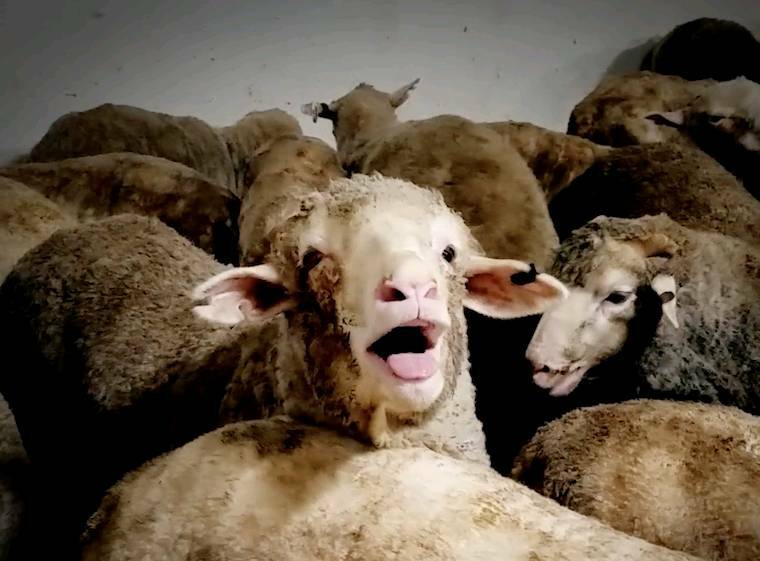 Yet our government - by allowing, supporting and encouraging live export - is subjecting millions of animals to his unimaginable suffering andgetting away scot-free. Governments are elected to do the will of the people and the majority of Australians want live export banned so isn't it time we demanded our elected leaders do our will and end this hideously cruel trade? Mahatma Ghandi famouslysaid, "The greatness of a nation and its moral progress can be judged by the way its animals are treated." Surely it's time our government displayed some morals by banning live export and putting an end to oneof the darkest chapters in our history.